The Lowell- Providence train waits its turn to enter the Shoreline at Mansfield. 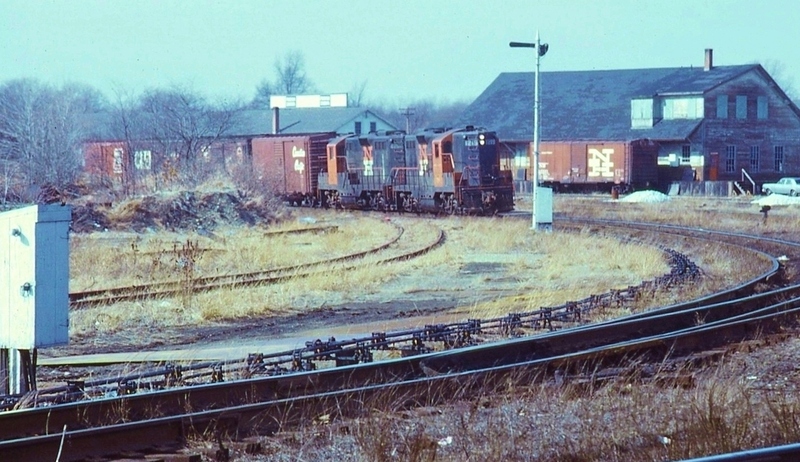 On train, would be traffic from B&M, as well as cars set out earlier at Framingham by the Selkirk- South Boston train. Photographed by Ken Patton, April, 1969. Added to the photo archive by Ken Patton, September 8, 2018.